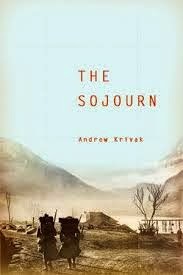 a book chick: "The Sojourn"
my take: This slim book was a great surprise. I saw it on my cousin Betsy's TO READ pile and mentally tucked it away. As usual, I had no idea what it was about ... Betsy's pile is recommendation enough. It's begins in the US before World War I and travels to Europe...the story of a boy and his father and the war and the journey home. Completely new perspective on WWI.